The lesbian granddaughter of the homophobic New York State senator Ruben Diaz Sr. has taken a public stand against her grandfather’s opinions. 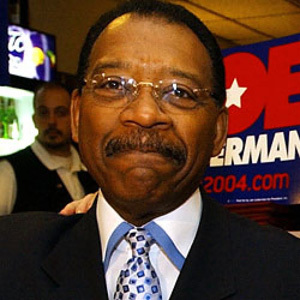 Senator Ruben Diaz Sr. represents the 32nd senate district in the Bronx. He is a staunch opponent of gay rights and has been very vocal in his opposition to gay marriage. Last month, he jointly hosted a march and rally against marriage equality in South Bronx. The march attracted 2,500 people. Ms Diaz, who has two children, was discharged from the US Navy under the now-defunct Don’t Ask, Don’t Tell policy. Ms Diaz chose to remain closeted during her adolescence “out of “respect” to her father’s side of the family, who revered Ruben Diaz as a patriarch. She has now been with her girlfriend, Naomi Torres, for two and a half years. Ms Diaz is only one of Sen. Diaz Senior’s gay relatives. He has said in the past that he loves his gay relatives, but did not “believe in what they are doing.” He even brought Ms Diaz to the podium during the anti-gay rally he co-led last month, in order to tell the crowd that he loved her.